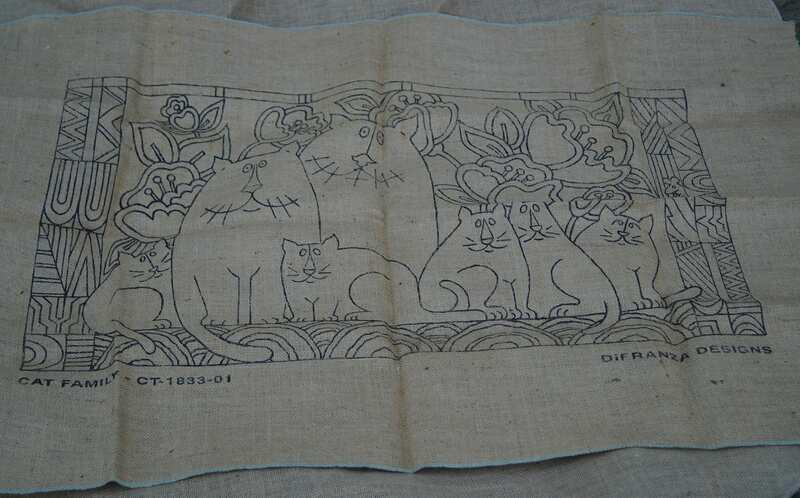 CAT FAMILY rug backing canvas stamped on burlap. From DiFrenza design studio. Measures 18 inches high by 34 inches wide. Backing only. No instructions or supplies included.